Have you ever made it a point to create a harmonious, stress-free day, just to have that monster creep up on you? It happens to the best–and the rest–of us. Stress seems to be a normal part of our everyday lives. That’s why it’s so important to recognize when it begins to pop up, and alter our schedules to help relieve the burden. So what does stress look like? Some describe it as a green, angry beast that rears its giant head at the most inopportune of times. Yes, this is stress. It can be overwhelming and all-consuming. But stress can also be a daily nuisance that you’ve put up with for many years. It can be something that you finally, for whatever reason, have decided not to let control you any longer. Things like being perpetually late for your morning train can cause stress and anxiety—not the best way to begin your day. So what’s the solution? For one, try leaving the house five minutes earlier. But instead of cramming your entire morning into a shorter time frame—which will just shift your stress—wake up five minutes earlier. The next week, give yourself an extra ten minutes. With that extra time, you’ll make it to your train and even have time to buy the morning paper and a cup of coffee. It’s amazing how good you’ll feel after a relaxed morning commute. But a relaxed commute means less beauty sleep. Or does it? Try going to bed a few minutes earlier. Simplify your evening routine and add some much-needed “me-time” to the equation. Give yourself time to rest, relax, and unwind, before hopping under your covers. Think about what truly relaxes you. Whether its reading a book, taking a hot shower, or drinking a glass of wine, allowing yourself a bit of self-indulgence will feel like a day at the spa. When your mind is relaxed, your body will relax, and you will sleep more peacefully. Throughout your day, aim to take a few breaks from your computer. Interact with colleagues, venture over to the park for lunch, or simply shift your eyes from your screen to a green plant nearby. These tiny breaks add up to a whole lot of peacefulness. And that’s a great way to keep that angry, green monster at bay. Want to learn more about TCM’s approach to stress and balance? 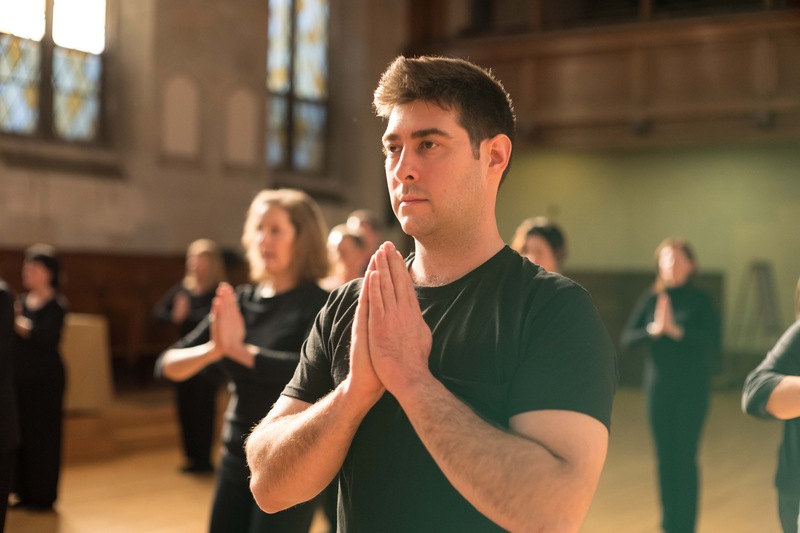 Join our next Dragon’s Way Qigong®. Click here to learn more.